She's a veteran of both Obama presidential campaigns, the State Department, and Global Strategy Group in DC. (Image via the State Department Flickr account). The White House’s new communications director is a familiar face: State Department spokesperson Jennifer Psaki. Psaki served as deputy communications director and previously deputy press secretary during Obama’s first term. In a move typical of the social-media-first Obama administration, Psaki said she’s returning to the White House on Twitter on Thursday morning, picking up more than 100 retweets in an hour. Although she didn’t specify what role she’ll be stepping into at 1600 Pennsylvania Ave., her transfer was quickly confirmed by the Associated Press and The New York Times’ First Draft, among other outlets. Psaki will start on April 1, succeeding Jennifer Palmieri, who is going to work for expected presidential candidate Hillary Clinton. On trading Jens as Comms Dir., Pres Obama says: "I'd say Jen (Palmieri) is irreplaceable – if Jen Psaki hadn't agreed to step in." Couldn't have picked a more talented WH CD than @statedeptspox. The team will be in very capable hands. 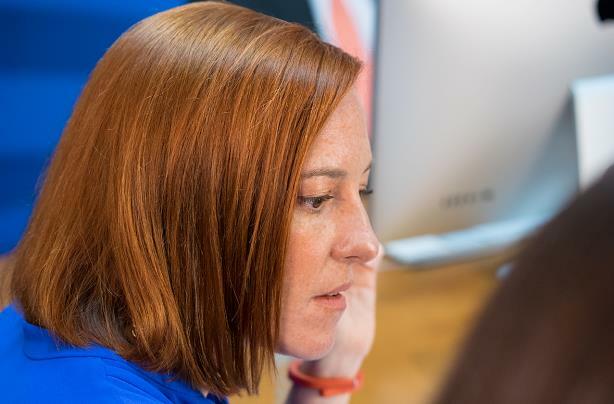 Psaki’s career includes both Obama campaigns and then-Sen. John Kerry’s presidential bid. In 2011, she joined Global Strategy Group in Washington, DC, as SVP and MD before returning to campaign politics.